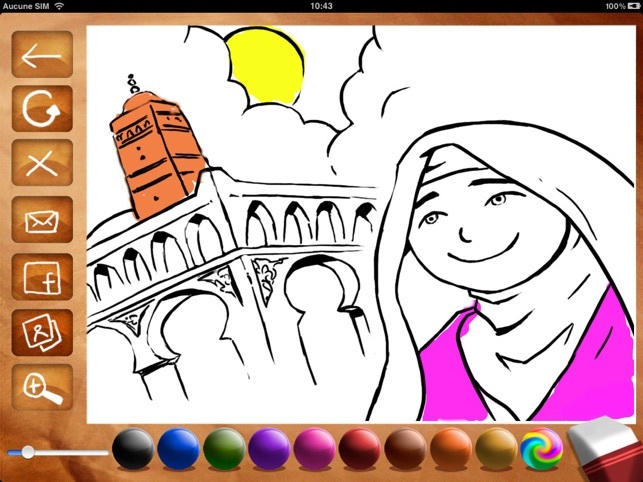 TRUE STORY OF A MUSLIM HERO TO INSPIRE YOUR CHILD ! 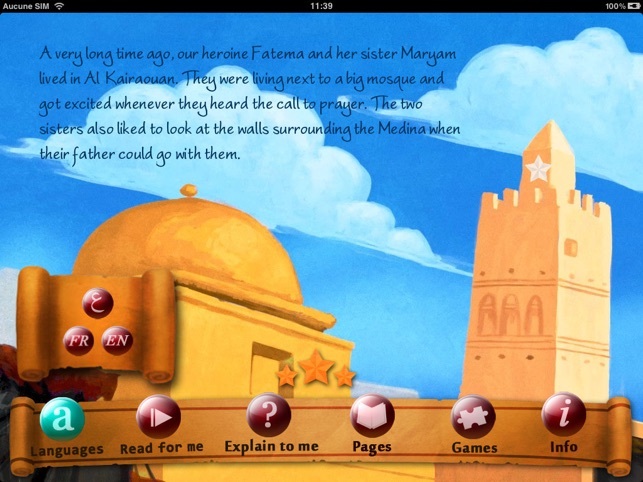 In this first book of the iQetab Series, your children will meet Fatima Al Fihria. This extraordinary woman travelled from Tunisia to Morocco and dedicated her money to build in Fes what is known today as being the oldest university in the world that has never stopped its activity: Al-Qarawiyin. - نص محقق بثلاث لغات : العربية، الفرنسية والانجليزية. - ألعاب و تفاعلات ممتعة. في هذا العدد الأول، سيلتقي طفلك بفاطمة الفهرية. هذه المرأة الاستثنائية سافرت من القيروان إلى فاس، وكرست مالها لبناء ما يعرف اليوم كأقدم جامعة في العالم: القرويين. 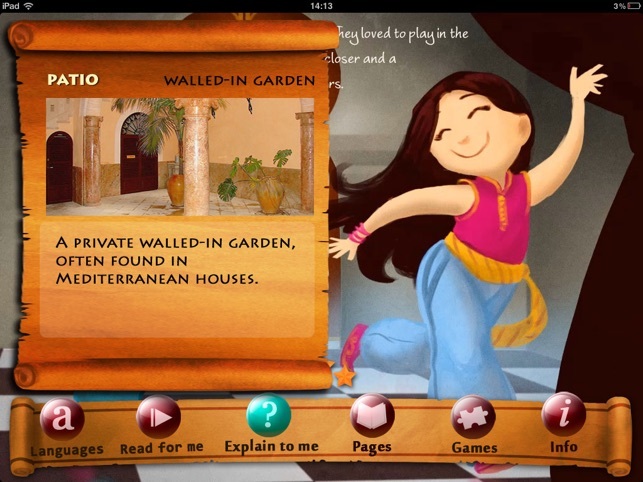 iQetab is a series of interactive stories on iPad that let your children meet with Heroes who changed the world ! 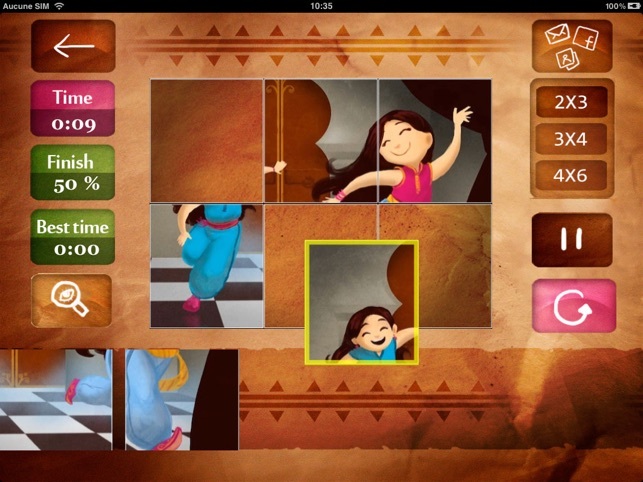 - An interaction on each page. I really enjoyed this app, i highly recommend it ! I really liked it because the games were super fun. 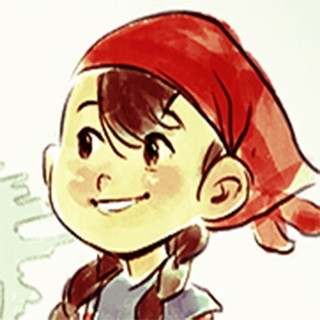 And I really liked the story plus I really learned a lot about Fatima.